Just nine days after receiving her title, nine-year-old Zsa Zsa passed away in her sleep. 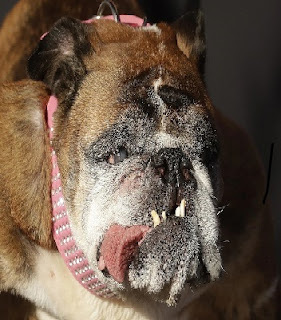 The English bulldog won the ugliness title at a contest last month in Petaluma, California, and after her win the celebrity canine received $1,500 and was flown to New York first class. Speaking with CNN, her owner Megan has said that Zsa Zsa was like part of the family and they are heartbroken to see her go. She said: "I picked Zsa Zsa up and took her outside and laid her down in the grass. "We were all saying our goodbyes."